Children can't be literate until their brains and working memories have reached the stage of "reading readiness." At this point, signs of the readiness to read will show up in a child's behavior. These signs include holding a book correctly, pretending to read, knowing some letters of the alphabet and of course being aware of the sounds of the language, known as phonemic awareness. Reading readiness skills are so important that many programs for preschoolers focus on developing those skills. In kindergarten, for instance, children learn the alphabet and the sounds the letters represent. This is not an easy task, which is why in many kindergarten classes and in some preschools, children focus on one letter each week. Unless children can understand the letter and sound connection, they will have trouble learning to read. Reading is more than recognizing letters and the sounds they represent. Children must also be able to comprehend what they read. In order for children to comprehend what they read, they have to perform a number of mental processes. First, they have to recognize the letters on the page. They have to remember the sounds those letters represent and they have to be able to understand how the sounds blend together to form words. The process of reading works something like this: the brain sees scribbles on a page and needs to recognize them as letters. Then it has to remember which sounds are represented by the letters and then be able to blend those sounds to form words. That process alone takes quite a bit of mental energy. We often hear beginning readers carefully sounding out words like dog: duh - aw - guh. As children practice their reading, the number of words they are able to recognize by sight increases, but they will continue to struggle with new and unfamiliar words. This recognition process takes so much mental energy that there isn't much left over for understanding what the words mean. It is enough to recognize the words. Short-term memory plays a major role in comprehension. In order to comprehend what they read, children have to do quite a bit at the same time. They have to be able to recognize letters and words, and they also have to recognize how the words in a sentence are put together. For example, "the dog bit the man" means something quite different from "the man bit the dog." Children need to remember the words they have read and their relationship with one another, while at the same time decoding new words. It is the short-term memory that allows readers to perform all the tasks required for reading. When children are learning to read, their working memory capacity is not sufficient to allow them to remember everything they need to remember. In other words, a child decodes words at the beginning of a sentence and then must continue to work on decoding words. By the time, children have moved from the beginning of the sentence to the end, they may have forgotten what the words at the beginning of the sentence were. Most adults have experienced this decoding and comprehension problem when they read highly technical information written in long sentences full of specialized vocabulary. Being familiar with the vocabulary and having the information presented in shorter sentences helps us understand more easily, and the same is true for beginning readers. 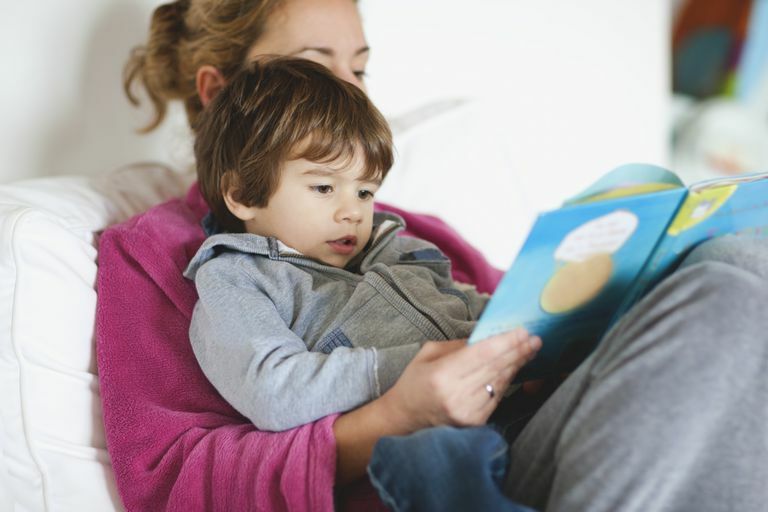 Children with a large vocabulary have an advantage, and the short sentences in books for beginning readers give children less information to store in their short-term memories. When the texts children read advance from simple sentences of three or four words to longer sentences, they need to store more information. However, remembering individual sentences is just the beginning of comprehension. Children must be able to remember the information in the first sentence of a paragraph when they reach the end of the paragraph. They must also remember the first paragraph when they get to the last paragraph. Children often have trouble with comprehension because what they have to remember goes beyond the capacity of their short-term memory. In other words, they can't store the information long enough to remember what they have read. Working memory is the process of temporarily storing and manipulating information. Researchers believe that short-term memory is critical for reading comprehension. Short-term memory capacity increases with age and is dependent on the development of the front part of the brain (frontal lobes). Until it is sufficiently developed, the brain can't both process and store information. In other words, there is a trade-off between decoding words and remembering what they mean. The brain can do one or the other, but not both. As the brain further develops, short-term memory improves and memory capacity increases. In most children, memory starts to improve starting at age six.